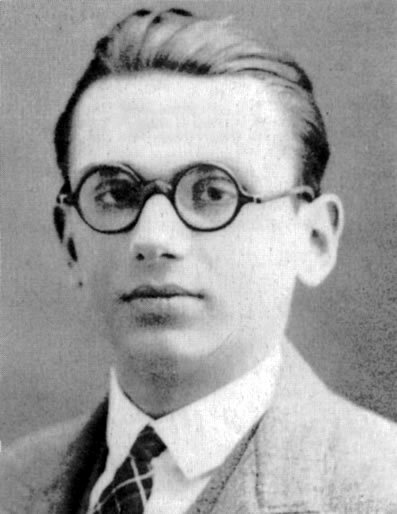 Portrait of Kurt Gödel, one of the most significant logicians of the 20th century, as a student in Vienna by unknown. Public domain via Wikimedia Commons. Featured image credit: sunlight sunrise sunset dawn by 5hashank. Public domain via Pixabay. I fail to understand the logic of something possibly necessary being surely necessary. I may just need to take a class in logic, but isn’t the purpose of the word “possible” just to mean “not surely”? If it is possibly necessary to bring an umbrella to stay dry, because it may or may not rain today, how does that imply it is now definitively necessary to bring an umbrella to stay dry? This article does a rather good job of mirroring the foundation of religion, namely the compounding of one absurd proposition on top of another. Simply laughable. Remind me again, how many ridiculous conjectures may fit on the head of a pin? Because in modal logic, ‘possible’ means, ‘obtains at at least one accessible world’. So if something is possibly necessary P, then at one particular world, that world has necessarily P. Since this world is accessible to our world, and necessarily P means that P obtains at all accessible worlds, then P obtains at our world. Ergo God exists at our world if there’s a world where he exists (if he possibly exists). The argument may equally reduce the burden on atheists: just show that atheism is possible. It’s called convincing yourself against the facts, something that the human mind is capable of, and that has been exploited throughout history by all sorts of salesmen and their pitches, including those bent on selling their version of religion. Fascinating. And if anyone could’ve proved the existence of God, it would’ve been Gödel. It’s also worth noting that, toward the end of his life, Gödel was also worried about people poisoning his food. He ultimately died from malnutrition as a result of mental illness. These proofs may be something akin to Newton’s work in alchemy and Biblical prophecy–the creative byproduct of a tormented mind. Still, the archetype of the man in search of God (or God’s name) presents itself in history, myth, and popular culture. From Buddha beneath the Bodhi tree to the Grail Knights of Arthurian Legend to Max Cohen in Aronofsky’s “Pi,” the image persists–man seeking a connection to the divine. So even if God isn’t real, the archetypal yearning for God is very real. Madness or no, Gödel’s work resembles the efforts of others on the quest and speak to a genuine drive shared by humanity. Brian, you are right to say that the inference from the possibility necessity of an umbrella to the actual necessity of an umbrella does not follow, but the example is not analogous. It is not analogous because the necessity of the umbrella is able to be caused. God is not able to be caused. (There is not space to prove this point here). Therefore, since there is nothing that could cause God’s existence, if it is possible that God exist, it is necessary that God exist. It would be contradictory to say “it is possible that God exists” and “God does not exist.” If God does not exist, then he could never exist. If God could never exist, then it is not possible that God exist. Instead, the existence of God would be impossible, not possible. The inference is sound. His just a foolish mathematician that doesn’t have anything to work on. God does not need to be proven. Science only deals with physical proof, not foolish ideologies. God cannot be intellectualise, I can prove that God exist and I can also prove he doesn’t, it only comes down to what I want to prove. Science and God are not related. Very interesting article, specially for those who want to explore ontological argument, not for real amateurs they might take it as a joke. To answer Brian, I think what is understood in logic when you say something is necessary, is that it is always necessary. When something is necessary this means that it’s not possible that it is not necessary. So saying something is possibly necessary is logically unsound. It is necessary or it isn’t. Just the way I understand it. GOD = 156, JESUS = 444, CHRIST = 462, and of course JESUS CHRIST = 906.
Who is the Father? Search the KJV Bible NT for the words “The Father” and you will find them 156 times. Who is the Lord ? Search the KJV Bible NT for the words ” The Lord ” and you will find them 462 times. Let’s bring the advanced ELS (Equidistant Letter Sequences) word search method into the picture. Set your ELS from 1 to the One God (1,156). Search for the following words…. You will find these words a total of 906 times. These are a few examples of the hundreds more. Here is another fun one. Jesus is the Son, and he is the Lord. Jesus will also appear a 2nd time, thus he will return and complete the circle. JESUS = 444, SON = 288, and LORD = 294. Clever Sean, but ultimately irrationally divided rationality, transcendence does not make. Is it true that the “sun rises” and the “sun sets”? 1) Inert elements (without cognizance or motive ability) cannot move themselves. Fact. 2) If inert elements move, the requirement is that there must be an external force exerting itself against them to cause them to move because they cannot move themselves. Fact. 3) If inert elements move in patterns, the requirement is that the external force moving them must possess a consciousness to be ‘aware’ of what a pattern is, and how to manipulate inert elements into patterns. A thinking power is moving them. Fact. 4) The inert atom is the building block of the physical universe that is not only moving in patterns and systems that are predictable and repeating, but have their activities remain within a singular order paradigm. This requires there to be an external force, possessing a consciousness controlling the atoms of the universe, keeping them in a specific pattern of behavior. A thinking power in controlling the atoms of the universe. God. I take issue with the premise that he can possibly exists in a world. The issue is, he can’t exist in only one world anyway. 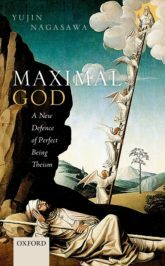 To be God he must have the ability to exist in all possible worlds because he is God. So you can’t begin your process with the assumption he can exist in one world, because that already presuposes he exists in all possible worlds. It is a sneaky way of proving he exists by first saying he exists, just indirectly. And if you are indeed starting with a God that exists in one possible world but not all worlds, then that isn’t really God and he doesn’t exist in all worlds anyway. Just a possible one. God is real, and He sent his one and only son Jesus Christ to die for our sins so we can have everlasting life in the kingdom of heaven and spend eternity with our creator.